This particular bark collar allows for full customization of the collar to optimize its use for your dog’s breed. It features 3 distinct training modes and 10 different levels of stimulation allowing for full optimization tailored to your dog. Each training mode allows for different levels of correction which can help you fully train your dog no matter what stage he/she is in. This bark collar utilizes a patented “Perfect Bark sensor system” in order to provide extremely accurate bark detection. It features contact points that are capable of delivering full static stimulation if it detects vibration from the vocal cords and sound. Thus, you don’t have to worry about it delivering false corrections based on external noise. This collar also features safety features that help it stand out on the marketplace. 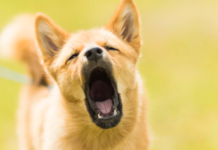 If your dog barks 15 or more times through a 50 second period, it will automatically shut off and avoid further correction. This particular barking collar offers smart optimization correction. In its Temperament learning mode, you will be able to utilize full progression systems which allow the corrections to start at the lowest level. Thus, it will always utilize the lowest level of correction needed to sustain the end result. This particular dog collar features DryTek which allows for the collar to be fully submerged into water up to 25 feet. Therefore, you don’t have to worry about the unit malfunctioning due to being exposed to rain or your dog getting wet. The battery can last anywhere from 3 to 6 months per charge depending on the requirements set forth for correction and can be fully charged in 4 hours. Overall, this is one of the best values on the market when it comes to barking collars. It features a patented Perfect Bark sensor system that makes it one of the best and most reliable barking collars on the market. It currently has an excellent 4 out of 5 stars on the Amazon Marketplace due to the value it provides. This particular anti-bark collar offers gentle corrections to keep your dog from barking. 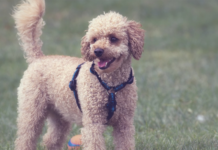 The collar features a microphone which is capable of picking up your dog’s barking and it triggers a safe burst of spray which can effectively distract your dog from whatever they are barking at which can redirect your dog’s attention. 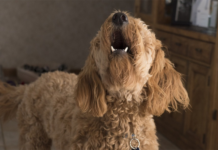 Because it utilizes a redirect correction versus a direct correction, it is going to be a much more harmless approach to keeping your dog from barking. 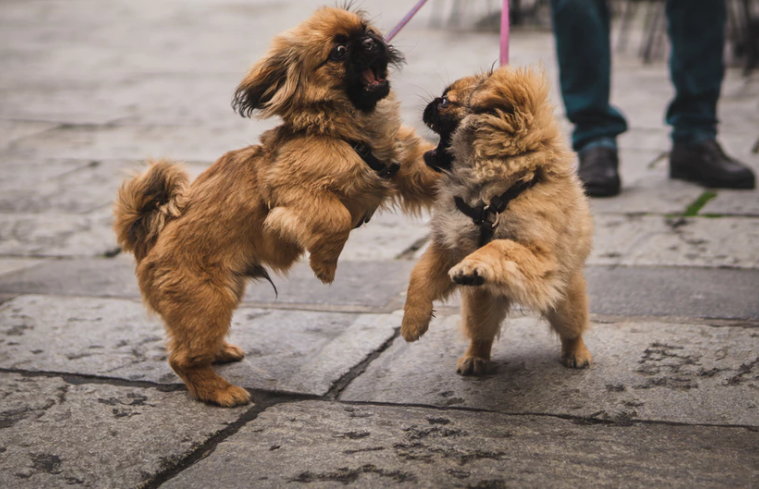 The collar features a harmless spray that is going to be utilized to effectively redirect your dog’s attention to keep them from continuing to bark at whatever is causing them to bark in the first place. The collar features lightweight nylon material makeup which makes the collar comfortable for any dog. The collar comes with a 6-volt alkaline battery included. The collar uses citronella spray in order to effectively discourage barking. This spray distracts your dog from whatever he/she is barking at. It must be refilled. It comes with up to 300 to 400 sprays per can and each refill for the collar is capable of holding anywhere from 25 to 30 sprays. This particular collar is effective at reducing and/or eliminating excessive barking. It utilizes a redirect approach for preventing your dog from excessively barking. It features a lightweight nylon design and it is fully designed for dogs that are over 6 pounds with neck sizes up to 24 inches. The collar utilizes citronella spray to deter your dog from excessively barking and unscented sprays are available if needed. This collar offers a much more gentle approach for those that are looking for something that is not going to utilize forced correction. It also happens to be a great value coming in under $50. 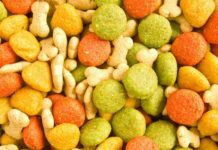 Therefore, it is a great option for a dog owner looking for something safe, gentle, and affordable. 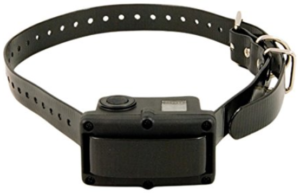 This particular anti-barking dog collar is adjustable and offers 7 distinct levels of correction. 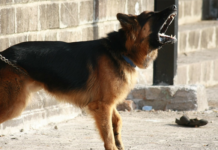 It is fully capable of recognizing your dog’s bark sound versus the surrounding environment. It features a non-electrical stimulation vibration warning prior to offering a correction. It features 6 distinct intensity levels for various levels of correction. This particular collar is meant for small to medium sized dogs. It is capable of fitting dogs as small as 10 pounds. This collar features an intelligent no-bark system which is capable of distinguishing your dog’s barking from any surrounding ambient noise. It does this through an inclusion of a sound recognition and filtering microprocessor implanted in the collar’s sensor. This allows it to fully analyze the surrounding noise to better detect whether or not your dog is barking or if its noise from the surrounding environment. 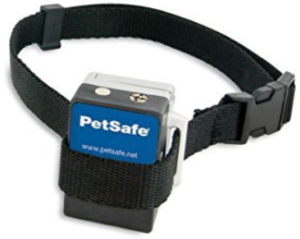 This No-Bark collar offers a non-electrical stimulation warning prior to the stimulation which makes it much easier on your dog because they will be able to correct their barking prior to ever experiencing the correction itself. Because the collar features 6 distinct intensity levels, it is going to be able to provide adequate correction no matter how determined your dog is or how thick your dog’s coat of fur is. Some dogs will require much more correction than overs. Having 6 levels ensures that you will be able to get through to your dog and fully correct the behavior. This No-Bark collar features waterproof material makeup which means you don’t have to worry about your dog getting wet. The No-Bark collar features extremely rapid charging technology which can fully recharge the battery in as little as 2 hours. This collar is going to be a great option for those with small to medium sized dogs that have various dispositions as it features 6 distinct levels of correction. It offers rapid charging, a waterproof design, and smart detect technology that ensures that the collar can distinguish your dog barking from its surrounding environment. While it’s on the pricier side of the market, this dog collar offers great design and superior performance to a lot of the competition.